Understanding the factors that determine the value of any business will pay tangible dividends whether you intend to sell or buy a business. If selling, the objective will be to increase your business’shortand-long-term profitability, and positioning to receive the highest price. A meaningful evaluation therefore needs to be based on a set of procedures and through a valuation process that reflects the economic value of an owner’s interest in the business. Factors such as owner experience in the industry, current market conditions and future growth and opportunity should also be considered. So, a meaningful valuation is not derived through simple multiples. Multiples almost never reflect the true value of a specific company, but rather reflect an often assumed median or average for a specific industry. To help demystify the valuation process, I first want to identify a few myths about valuing private business so that you can avoid the pitfalls these myths present. Valuing a private business should only be done when it is ready to be sold. When preparing to sell a home, the first thing owners typically do is fix up the landscaping, add a coat of fresh paint and make necessary repairs. Likewise, when you are getting ready to sell a business, you will want to make the necessary investments (financial, management, systems and procedures, etc.) to improve the performance and appearance of your track record in order to maximize the value you receive for all you have invested over the years. Knowing the value of your business will assist in determining the relationship between an owner’s expected value, and a market or buyer value, and afford the ability to properly plan for growth and maximum value. Ideally, you will start this process at least two to three years in advance so that you can disclose a solid set of financials, but you also need to tidy up your balance sheet, which could mean moving around certain assets or removing bad debt. If a business is to have a life beyond that of its current owner, then realistic knowledge of value and effective planning for ownership transition requires a regular valuation of your business. Businesses in my industry sell for X times annual revenue or X times earnings so why get a business valuation? The short answer is that these are simply erroneous numbers, reflective of industry or transaction medians without consideration of the subject company’s specific performance, efficiency and many other valuation factors. What happened last year is not really relevant to what something is worth today. How much does the business generate today? How much cash can the business generate in the future? How predictable and sustainable are those cash flow earnings? What is a buyer’s required return on investment in your business, based on relevant risk and time factors? The value of a business is its fair market value. The International Business Brokers Association defines fair market value as that price paid for a business by a willing buyer to a willing seller when each is fully informed and neither is under pressure to act. The value of your business however, may or may not be refleeted in the transacting price. So price and value are not necessarily congruent, since value is perceived and driven by assumptions and perception, while price is a reality, driven by the market and compulsion. Many private businesses appear to lose money. Appearances, however, are often misleading. The separation between ownership and management does not really exist in a private business. Often owners, upon directing their accountants, may reflect various levels of discretion over how much money the enterprise is generating, since the more they show, the more taxes they will need to pay. So recasting or normalizing the financials to reflect the true earnings of a business is a critical activity to accurately reflect the value of a business for purchase or sale purposes. There are many value drivers that you should consider beyond just numbers when valuing a business for purchase or sale. 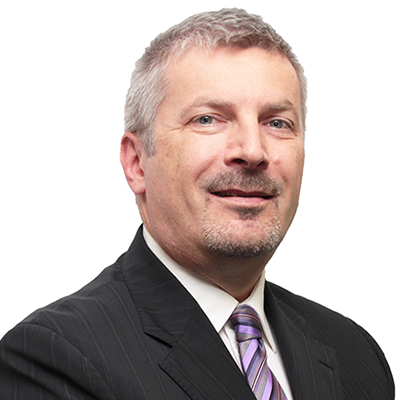 Arthur Klein is a business broker with Vancouver-basedPacific Business Brokers Inc. As an experienced intermediary, Klein endeavours to assist buyers and sellers in the process to value and transactprivately held enterprises. Klein can be reached at 604-696-6111, or through www.pacificbusinessbrokers.com. Arthur Klein partners with buyers and sellers of privately held enterprises to value, facilitate knowledge exchange, and transact the sale of these ventures so everybody benefits. Arthur earned a BSc (Agr) from the University of Guelph, as well as a Diploma in Marketing and Sales Management from UBC Sauder School of Business. Additionally, Arthur holds a BC Real Estate Commercial Trading Services license and is an accredited Certified Business Intermediary (CBI) as administered by the International Business Brokers Association (IBBA).